In Germany, the SPD is now pushing for a revolution in Europe for all member states to surrender their sovereignty to Brussels. They are arguing to federalize Europe and thereby create an integrated Europe of one government. It was the SPD that really won in the German 1918 Revolution. Under Weimar, the SPD was able to put its ideas of social justice into practice by influencing a number of progressive social changes while both in and out of government. The SPD re-introduced and overhauled the Bismarckian welfare state, providing protection for the disadvantaged, the unemployed, the aged, and the young. The SPD is a full-blown Socialist State advocate following the ideas of Karl Marx. At theaters across Europe, the SPD organized a symbolic proclamation to create a “European Republic” which was announced from the balcony of the Hamburg Thalia Theater, as actors released the new the manifesto written by Ulrike Guérot and Robert Menasse on Saturday. The aim of the project is to sensitize the public to the idea of a pan-European democracy and statehood. The occasion is the 100th anniversary of the end of the First World War and the almost simultaneous proclamation of republics in various European countries. The SPD manifesto calls for a Europe without nations and borders, thus to surrender sovereignty to prevent the resurgence of nationalism. EU Council President Donald Tusk has warned against the emergence of populist and anti-integration forces in Europe and the US. He has thus supported the federalization of Europe pointing out the isolationist tendencies in the USA and in Britain. 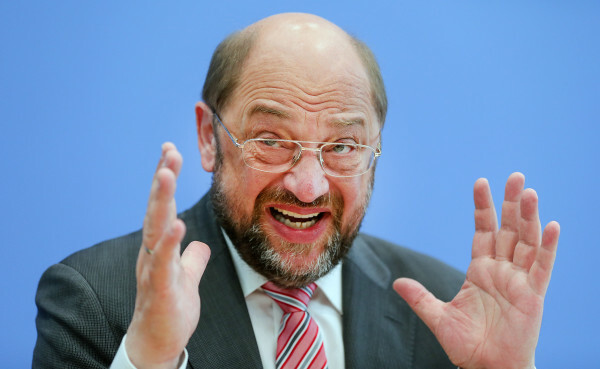 The former head of the SPD Martin Schultz (19 March 2017 – 13 February 2018) also called for the federalization of Europe. They see no problem with suppressing 70% of the people who are not supporters of SPD.